KEY FEATURES INCLUDE 19″ Boxster S Wheels Manual transmission Bi-Xenon headlights incl. Porsche Dynamic Light System (PDLS) ParkAssist (Front and Rear) with Reversing Camera Multifunction steering wheel Standard Interior in Black Power Sport Seats (14-way) with Memory Package Premium Package Plus (Sport Seats, 14-way) Infotainment Package with BOSE® Surround Sound System EXCELLENT SAFETY FOR YOUR FAMILY Electronic Stability Control, Brake Assist, 4-Wheel ABS, Tire Pressure Monitoring System, 4-Wheel Disc Brakes MORE ABOUT US Welcome to Reeves Import Motorcars, a family owned and operated business since 1971. On behalf of our staff, thank you for visiting us on the Web and giving us an opportunity to acquaint you with our dealership. Our commitment to perfection is exceeded only by our resolve to offer you the highest levels of guest services in the luxury automotive industry. Our professional and well trained staff is ready to assist you with your new or pre-owned automotive needs. All prices exclude any government fees or taxes,titling and registration fees, any finance charges, fees, or taxes, and a $596.20 Pre-Delivery Service Charge. Prices may include incentives dependent upon payment or purchase method. Horsepower calculations Please confirm the accuracy of the included equipment by calling us prior to purchase. ONLY 35,578 Miles! Leather Interior, Navigation, Bluetooth, iPod/MP3 Input, Dual Zone A/C, CD Player, Turbo Charged, Aluminum Wheels, Power Liftgate, All Wheel Drive. KEY FEATURES INCLUDE Jet Black Metallic Seat Heating (Front) ParkAssist (Front and Rear) with Reversing Camera BOSE® Surround Sound System 19" Cayenne Design II Wheels 8-speed Tiptronic S Standard Interior in Black Automatically Dimming Mirrors i.c.w. Memory Package Infotainment Package w/o HD Radio Power Seats (8-way) with Memory Package MORE ABOUT US Welcome to Reeves Import Motorcars, a family owned and operated business since 1971. On behalf of our staff, thank you for visiting us on the Web and giving us an opportunity to acquaint you with our dealership. Our commitment to perfection is exceeded only by our resolve to offer you the highest levels of guest services in the luxury automotive industry. Our professional and well trained staff is ready to assist you with your new or pre-owned automotive needs. While every reasonable effort is made to ensure the accuracy of this information, we are not responsible for any errors or omissions contained on these pages. All offers are mutually exclusive. All vehicles subject to prior sale. Please verify any informa Please confirm the accuracy of the included equipment by calling us prior to purchase. 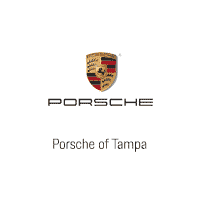 Porsche Certified, Excellent Condition, GREAT MILES 17,603! Navigation, Moonroof, Heated Leather Seats, Power Liftgate, Heated Rear Seat, Back-Up Camera, Captains Chairs, Aluminum Wheels, All Wheel Drive, Turbo Charged. KEY FEATURES INCLUDE Leather Seats, Navigation, Quad Bucket Seats, Power Liftgate, Heated Driver Seat, Heated Rear Seat, Back-Up Camera, Turbocharged, Premium Sound System, Satellite Radio, iPod/MP3 Input, Bluetooth, Dual Moonroof, Keyless Start, Dual Zone A/C. Rear Spoiler, MP3 Player, All Wheel Drive, Aluminum Wheels, Keyless Entry. PURCHASE WITH CONFIDENCE 111+ Point Inspection and Reconditioning performed by Factory Trained Technicians, 2 Year / Unlimited Mileage Porsche Roadside Assistance, Trip-Interruption Services, Balance of original 4-year/50,000-mile new car warranty, 2 Year / Unlimited Mile Warranty from the date of sale if new vehicle limited warranty has expired, All coverage expires at 8 years/100,000 total miles, NO deductible, transferable to subsequent owners EXCELLENT SAFETY FOR YOUR FAMILY Child Safety Locks, Electronic Stability Control, Brake Assist, 4-Wheel ABS, 4-Wheel Disc Brakes WHY BUY FROM US Welcome to Reeves Import Motorcars, a family owned and operated business since 1971. On behalf of our staff, thank you for visiting us on the Web and giving us an opportunity to acquaint you with our dealership. Our commitment to perfection is exceeded only by our resolve to offer you the highest levels of guest services in the luxury automotive industry. Our professional and well trained staff is ready to assist you with your new or pre-owned automotive needs. While every reasonable effort is made to ensure the accuracy of this information, we are not responsible for any errors or omissions contained on these pages. All offers are mutually exclusive. All vehicles subject to prior sale. Please verify any informa Please confirm the accuracy of the included equipment by calling us prior to purchase. GREAT MILES 19,428! Heated Leather Seats, Navigation, Sunroof, Power Liftgate, Heated Rear Seat, Back-Up Camera, Captains Chairs, Alloy Wheels, All Wheel Drive, Turbo Charged. KEY FEATURES INCLUDE Deletion of Model Designation Power Steering Plus 21" 911 Turbo Design Wheels Seat Ventilation (Front) Paldao Interior Package LED-Matrix Headlights incl. Porsche Dynamic Light System Plus (PDLS+) Smoking Package Leather Interior in Saddle Brown/Luxor Beige 8-speed Porsche Doppelkupplung (PDK) Agate Grey Metallic Premium Package Plus Power Seats (14-way) with Memory Package Storage Package Window Trim in Black (High-Gloss) Thermally & Noise Insulated Glass Child Safety Locks, Electronic Stability Control, Brake Assist, 4-Wheel ABS, 4-Wheel Disc Brakes, Tire Pressure Monitoring System OUR OFFERINGS Welcome to Reeves Import Motorcars, a family owned and operated business since 1971. On behalf of our staff, thank you for visiting us on the Web and giving us an opportunity to acquaint you with our dealership. Our commitment to perfection is exceeded only by our resolve to offer you the highest levels of guest services in the luxury automotive industry. Our professional and well trained staff is ready to assist you with your new or pre-owned automotive needs. While every reasonable effort is made to ensure the accuracy of this information, we are not responsible for any errors or omissions contained on these pages. All offers are mutually exclusive. All vehicles subject to prior sale. Please verify any informa Please confirm the accuracy of the included equipment by calling us prior to purchase. Excellent Condition, ONLY 14,576 Miles! Leather Interior, Navigation, Satellite Radio, Premium Sound System, Bluetooth, iPod/MP3 Input, Back-Up Camera, Captains Chairs, Alloy Wheels, All Wheel Drive, Turbo Charged. KEY FEATURES INCLUDE Seat heating (front) 20" 911 Turbo S Wheels Lane Change Assist (LCA) Heated Multifunction Steering Wheel Rear Model Designation Painted Seat Ventilation (Front) Luggage net in passenger footwell Smoking package Porsche Entry & Drive Light Design Package Burmester® High-End Surround Sound System Leather interior in Black PORSCHE Logo and Model Designation Painted GT Silver Metallic Preparation door-sill guards, illuminated Instrument dials in Racing Yellow Sport Chrono Clock Dial in Racing Yellow Door-Sill Guards in Carbon Fiber, Illuminated EXCELLENT SAFETY FOR YOUR FAMILY Rollover Protection System, Electronic Stability Control, Brake Assist, 4-Wheel ABS, 4-Wheel Disc Brakes, Tire Pressure Monitoring System OUR OFFERINGS Welcome to Reeves Import Motorcars, a family owned and operated business since 1971. On behalf of our staff, thank you for visiting us on the Web and giving us an opportunity to acquaint you with our dealership. Our commitment to perfection is exceeded only by our resolve to offer you the highest levels of guest services in the luxury automotive industry. Our professional and well trained staff is ready to assist you with your new or pre-owned automotive needs. While every reasonable effort is made to ensure the accuracy of this information, we are not responsible for any errors or omissions contained on these pages. All offers are mutually exclusive. All vehicles subject to prior sale. Please verify any informa Please confirm the accuracy of the included equipment by calling us prior to purchase.